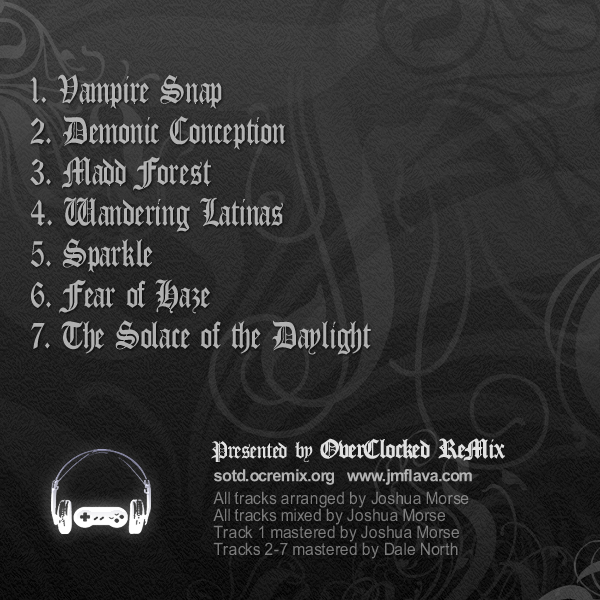 As if the Castlevania name needs introduction, this album is a tribute to the incredible music it has produced throughout its life. 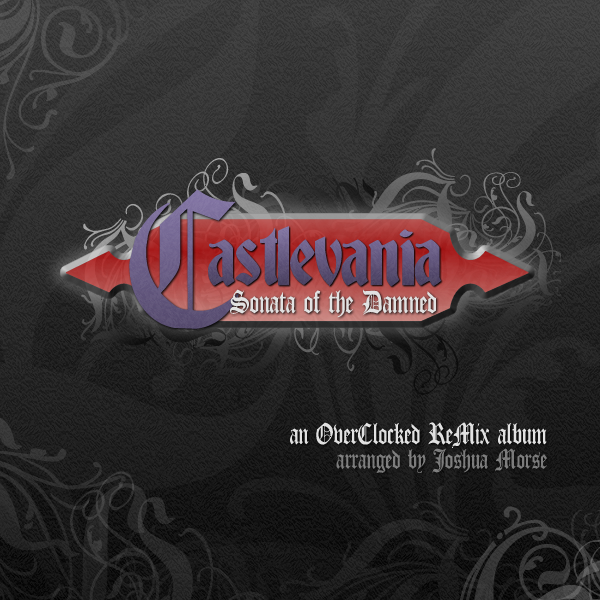 In fact, I find the music to be so incredible, that this is my 2nd effort in putting together an album dedicated to the series--the first was dedicated to Castlevania: Symphony of the Night. From Kinuyo Yamashita to Michiru Yamane, the composers of this series have done a spectacular job in conveying the demonic atmosphere that Dracula and his minions convey, and I can only hope that I've done their work justice with my own. Thoughts? Drop them over in the official comment thread at OverClocked ReMix! This method is preferred, as it helped OverClocked ReMix save bandwidth. All tracks arranged and performed by Joshua Morse. All tracks mixed by Joshua Morse. 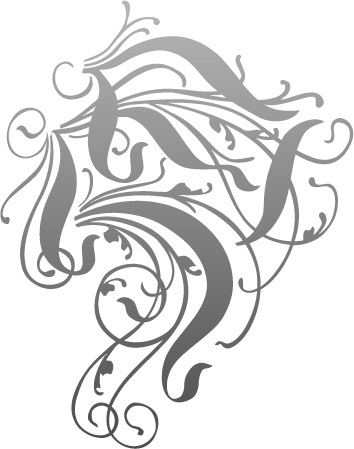 Website by Joshua Morse with assistance of the OverClocked ReMix team. All the rest mastered by Dale North. Legal © Copyright 2006-2009 by the respective artists. Use of any of the content provided on this website is bound by the OverClocked ReMix Content Policy.